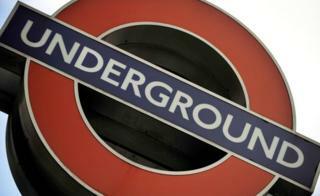 Last-ditch talks aimed at averting a strike, which is expected to cause major disruption on London Underground (LU), will take place on Saturday. Workers from the RMT and the Transport Salaried Staffs' Association (TSSA) unions are scheduled to walk out for 24 hours from 18:00 GMT on Sunday. Conciliation service Acas said representatives from both unions and LU will attend, despite the RMT suggesting earlier that all discussions were over. The dispute is over staffing numbers. Transport for London (TfL) has warned the majority of central London Tube stations will be closed and there will be "limited services" in outer London, if the strike goes ahead. Talks between both unions and LU had broken down on Friday afternoon with BBC London transport correspondent Tom Edwards describing the sides as being "miles apart" over an agreement. After discussions had ended, RMT general secretary Mick Cash accused LU of "failing to come up with any serious plans to tackle the staffing and safety crisis". "Instead of resolving the issues Tube bosses have chosen instead to ramp up the rhetoric with threats to mobilise a strike-breaking army of 'ambassadors'," he said. TSSA representative Mel Taylor, who was at the talks, said TfL's proposals for increasing staff levels were "just not enough". "We're now in a total crisis situation so there needs to be something fairly drastic immediately as well as a longer-term solution to staffing on the Tube". Image caption TfL said over 100 extra buses will be deployed and river services will be "enhanced"
TfL previously said it would address the recommendations of a recent report which found the closure of ticket offices had caused "significant issues" for Tube passengers. Steve Griffiths, chief operating officer for LU, said there was "no need" for the strike as more workers were already being employed and "around 500 staff will be recruited for stations this year". "All of this will ensure that our customers feel safe, fully supported and able to access the right assistance in our stations at all times," he said. Mayor of London Sadiq Khan said he had "instructed TfL to work around the clock throughout the weekend to continue negotiating." He said progress had been made with "a good deal on the table" and urged unions to call the strike off.